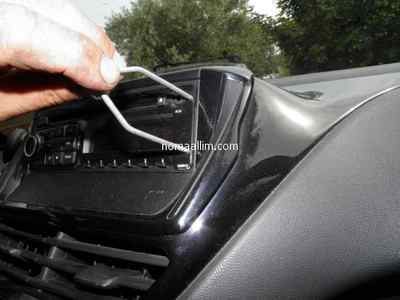 Make sure to find your car radio removal tool which has been supplied with your vehicle or your car stereo. 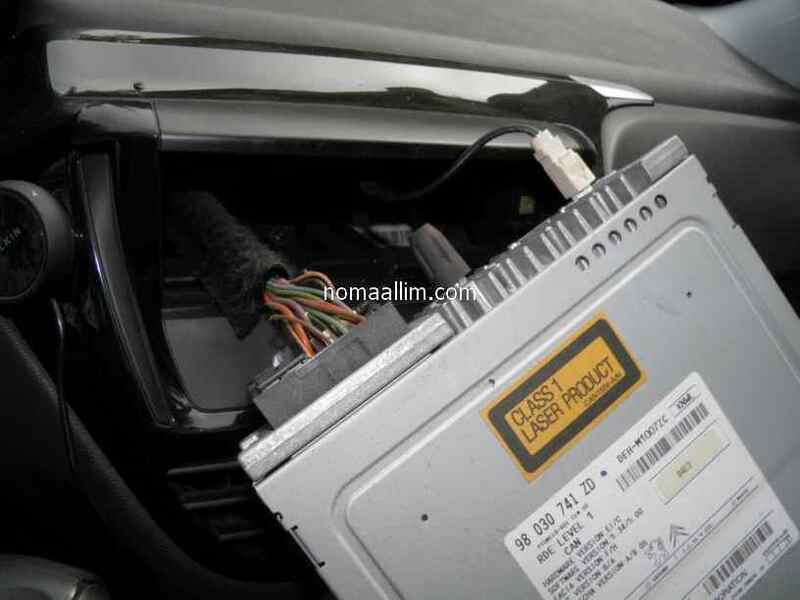 No panic if you don't find it, it's available for purchase in the market. 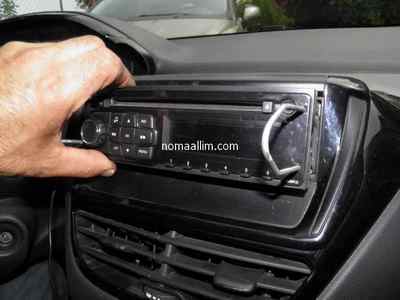 Find first the special car stereo (car radio) removal tool. 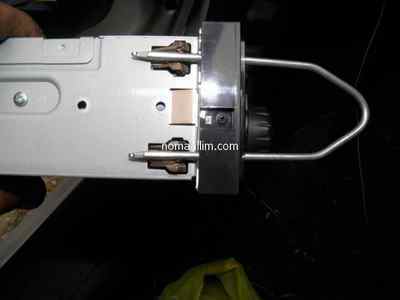 It's a pair of U-shaped steel wire tools (DIN standard) or flat steel plates (SONY). Insert the U-shaped tools in their intended holes then gently pull out your car radio unit. The picture to the left shows how the tool eliminates the effect of the car stereo holders. 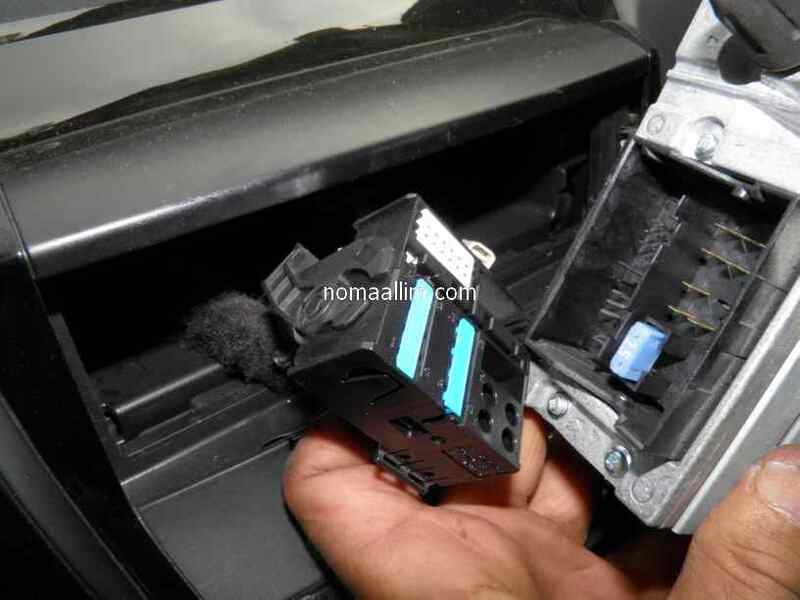 ...while disconnecting the wire harness connector with the other hand.